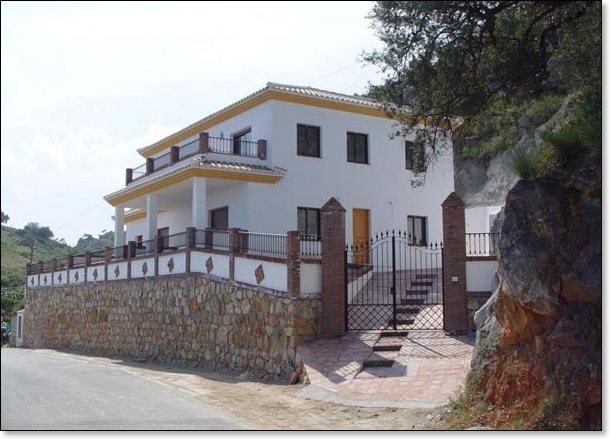 Andalucian Dream’s Casa La Molina is situated in Comares, one of the highest pueblo blancos in Andalucía. 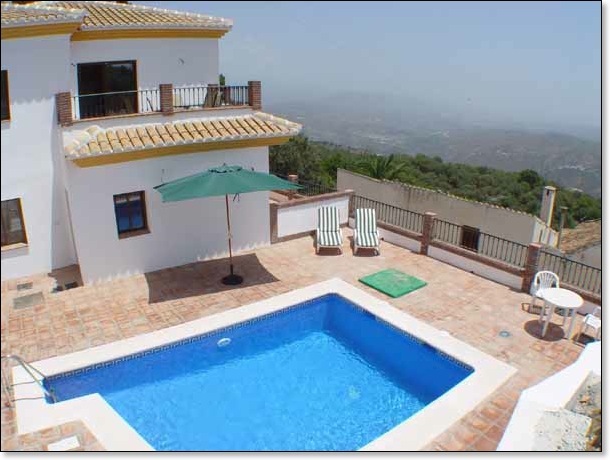 Comares can be seen from miles around and has spectacular views in all directions. This is the perfect place to unwind in comfortable and peaceful surroundings just one hour’s drive from Malaga. This location is suitable for anyone, regardless of age, to escape from the daily stresses of modern life. Here you can either totally relax by the pool or explore the local countryside. Throughout the village there are colourful ceramic plaques depicting Comares´ important place in history which can be traced back over two thousand years. The village was one of the principle defensive bastions of Omar Ben Hafsun and during the early times of the Moorish caliphs in Cordoba. The Moors built a fortress in Comares that was, together with las Benthomiz and Zalía, one of the three principle forts in the Axarquía. Two of the towers that reinforced the wall are still standing, one of them next to the cemetery at the top of the village. Strategically important in the defence of the crumbling Moorish territories, Comares was finally conquered by the Catholic kings from the north in 1487. The village remains typically Moorish in its layout and design with narrow cobbled streets, interspersed with arches, flanked with simple whitewashed houses. The Parish Church is 16th Century with a beautiful coffered/stucco/moulded ceiling. Enjoy a tapas with a drink in one of the local bars. Follow the ceramic footprints around the winding streets of the village, or if you are more energetic you can follow one of the longer colour-coded walks. Local facilities available include a couple of banks, one with a cash machine, a pharmacy, small supermarket, bars, tobacconist, restaurants and hotels near the plazas. This is, without doubt, one of the prettiest villages in the province of Andalucía and should be visited soon.